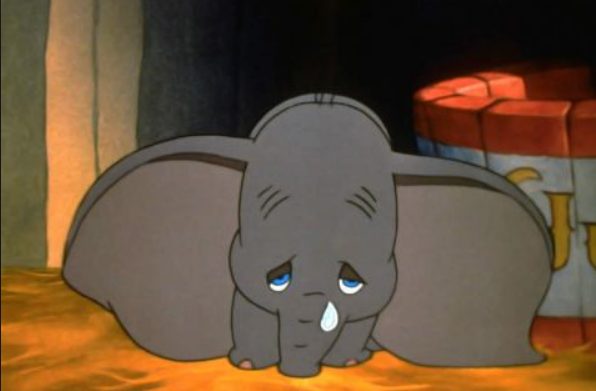 Have You Ever Felt Like Dumbo? As the holiday season approaches, I must confess I feel a bit like Dumbo. Sad, lonely and abandoned. It’s not that like Dumbo, I don’t have a friend like Timothy the Mouse. The fact is that I am eternally grateful for the many friends who have stuck by me as my life has changed dramatically. But I still feel a bit like the scared Dumbo above, lost and lonely. I think holidays bring up many unresolved issues in our lives and when all are celebrating, those of us whose lives have changed irrevocably have a hard time adjusting to the merriment. It’s not that we truly want to bring others down to our own low vibrations, but we feel how we feel and sometimes, we simply need a Timothy the Mouse to bring us a magic feather in order for us to see how we can fly. It’s a difficult season when we have lost loved ones to death or abandonment. A part of our hearts go with those who leave in whatever form. A broken heart learns to heal albeit slowly and there comes a time when we have to confront ‘the elephant in the room.’ For my own self, I am struggling quite honestly with how to go about my first holiday season ~ mentally, physically and emotionally for myself and my sons. It is not an easy transition for any of us and one that I’ve learned is without any rules. The best we can do is to look beyond ourselves to those around us, keeping in mind that all are hurting as well. 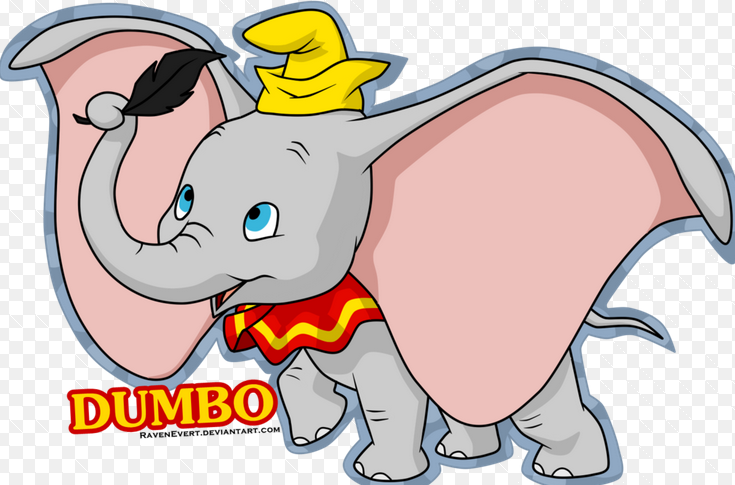 But to have the courage to enter the circus of holiday parties, feeling like Dumbo, is something that I’m honestly struggling with and I am hoping that someone who reads my blog may have the magic feather for me so that, like Dumbo, I can learn to fly. I know that my situation is not abnormal and that perhaps you have endured this change as well in your life, or know someone else who has survived this type of heartbreak. I would truly appreciate any and all support, advice and ‘magic feather’ that you can offer at this time. I know that in my heart, I can endure the holidays with my head held high for my children’s sakes, but at what price to my own self? I battle with these thoughts and more daily as Thanksgiving approaches and the hubbub of the holiday season and parties begins. I apologize for such a sad post today. Usually I am upbeat and try to be inspirational, but I am faltering and now look to your kindness with hopeful yearning. Does anyone have a magic feather to lend? I am looking to fly my dear friends. Any and all help is appreciated and if you feel like sharing any special Timothy advice, I am open and willing to listen and to embrace my strength, my tenacity and my inner love to fly. Thanks for being with me everyday. I am so grateful to all of my readers and friends. May you never let go of your magic feather for we are all meant to fly! 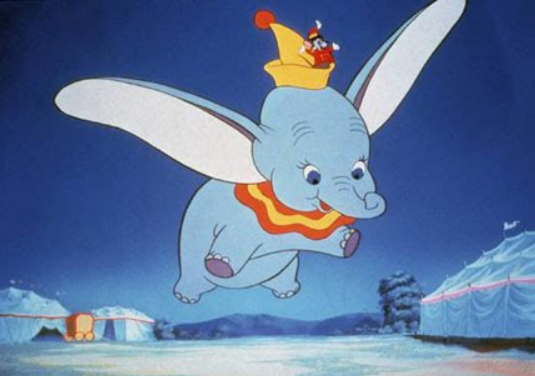 *Credit to the internet for the photos above of Dumbo from the movie. Below is a link to one of my favorite songs…and although I’ve not seen Tangled by Disney, this song sets my feet a’tapping and I get a goofy smile on my face every time I hear the beginning chords. Take a moment and listen…are you smiling yet? Do you have a song like that? One that simply makes you smile in that child-like, carefree way and sets your feet and whole body rhythmically tapping to the beat? It’s like magic when I get that feeling and I want it to continue every time it happens. What if we could keep that childhood magic alive everyday? What MAGIC could we accomplish if we knew we could be MAGICAL? 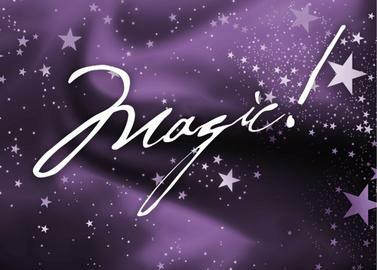 So the challenge for the week is to see if you can find your THEME song ~ the one that makes you feel MAGICAL! You can even share mine because it’s so awesome! See if you can find your song and then play it once a day…take a few minutes to just BE HAPPY and ENJOY a few ME minutes to Revive you, Ignite you and Inspire you to take better care of you! Let me know how it goes for you…what’s your theme song? How do you feel MAGICAL? I’d love to add to my happy song list so please comment! Do you believe like I believe?